Increase Your Leads and Conversions With This Free Ebook! Learn about common website design pitfalls, as well as solutions to help business owners improve their website and increase their return on investment. 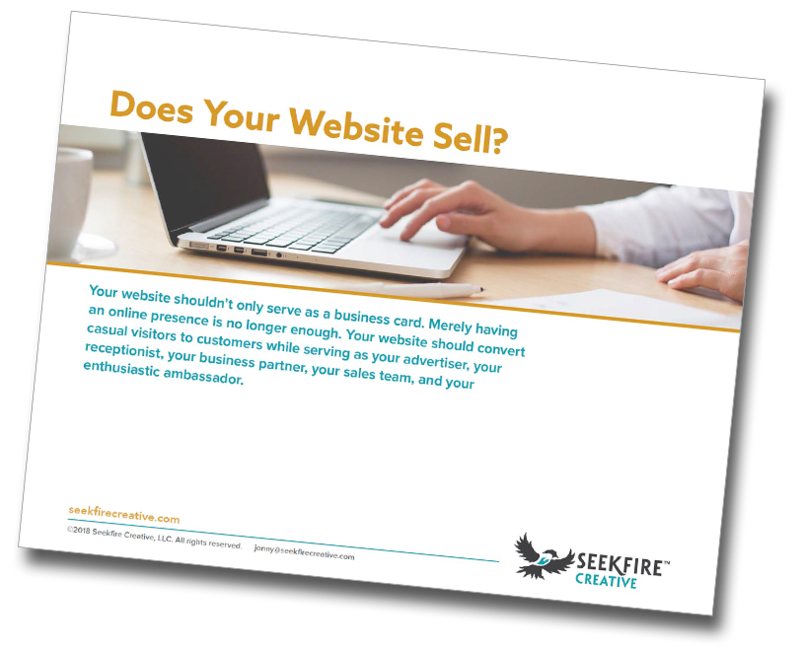 Download the Ebook "Does Your Website Sell?" Enter your email address to download my ebook. Your email address is safe with us. Our email marketing is permission-based and we will not share your email address with anyone. You may instantly and securely opt out at any time. Thanks! You will receive an email shortly with a link to download the ebook!